At St. Mary's, we recognise the crucial and valuable role that parents play in the education of their children. Parents are the primary educators of their children, and have a vital role to play in the partnership between home and school. School also relies heavily on the support and co-operation of parents in the education of their children. Effective communication between home and school is crucial for the ongoing development and educational success of children. We value our parents and in turn ask our parents to support us in the education of their children. 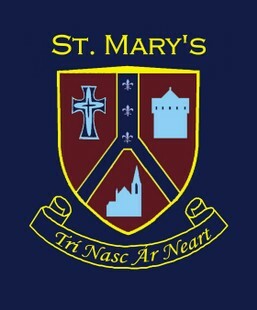 The purpose of the Parents’ Association (PA) is to provide a structure through which the parents/ guardians of pupils of St. Mary's Parish Primary School can work together for the best possible education for their children.The PA will work in co-operation with the Board of Management, Principal, teachers and students in accordance with the provisions of the Education Act 1998. The Parents’ Association hopes to help all parents feel they have a part to play in the school and a contribution in helping to make their child's years in the school a positive time in their life. To represent the interests and views of parents of children attending the school. To inform parents of developments in Education and in St. Mary's Parish Primary School. To foster cooperation and promote good relationships between parents and the Principal, Teachers and Board of Management. To help with the provision of extra equipment and teaching aids through fund-raising events. 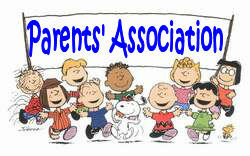 At the beginning of each academic year there is an AGM of the Parents’ Association. New parents are actively encouraged to join (all parents are automatically members, and new parents to the school are most welcome).As a member of the association you can contribute to discussions at the AGM, assist in events, organise events, participate in the committee.